This is a cross post from my SCN document on the same subject. I intend to add some more "experimental" :) features on this page as I go along and more "stable" ones on the SCN site. 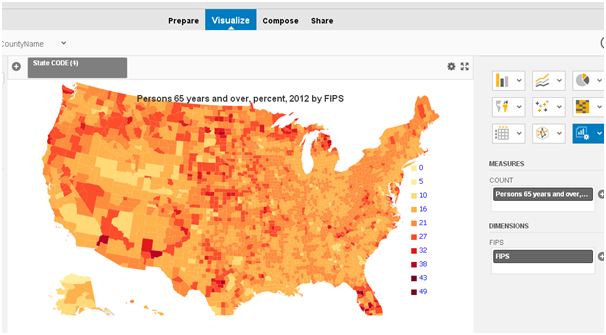 After following this blog post the data from the US Census quickfacts site can be shown on a custom US Counties Choropleth map in SAP Lumira. An example map is here. It is based on the free personal edition of SAP Lumira which can be downloaded for free from this page. 1) Document from Manfred Schwarz Lumira Geoextension with datamaps.js and topojson.js , however no datamaps.js is used in this custom map. The great work by Manfred in regards to setting up require.js to use D3.v3 and topojson was used in this extension. TOPOJSON was used to convert the map and simplify it. Download the extension from the link provided “Version Information” section above. 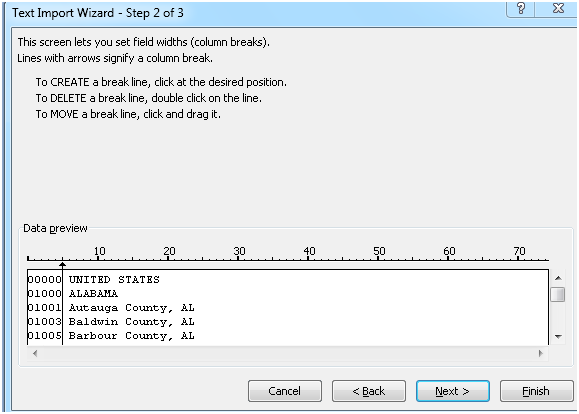 1) Quit SAP Lumira to install the extension. Download all files to a local drive. 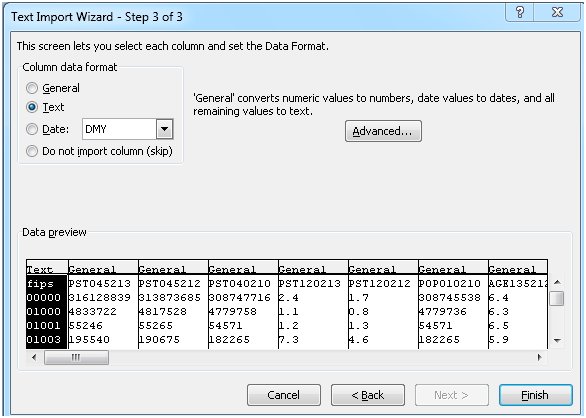 There is a requirement to convert the data into excel files. This is required to ensure that leading zeros are not dropped from the FIPS county codes. 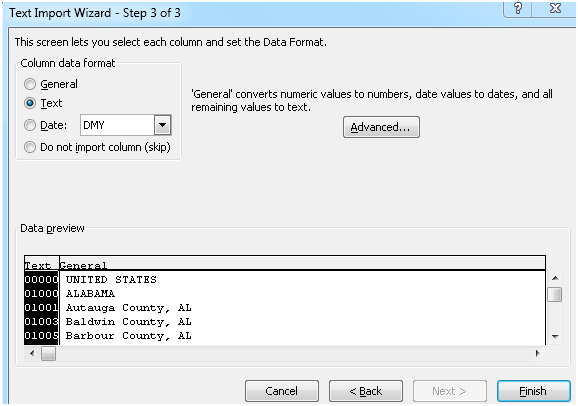 On the quickfacts download page there is a description of how to format the data. Some screenshots are below to highlight the necessary steps for the FIPS data and variations found in loading the data. 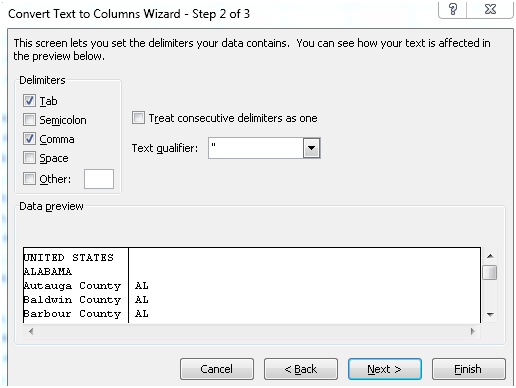 Essential to format the FIPS column as Text as this is to prevent the leading 0 being dropped from some of the county FIP codes. 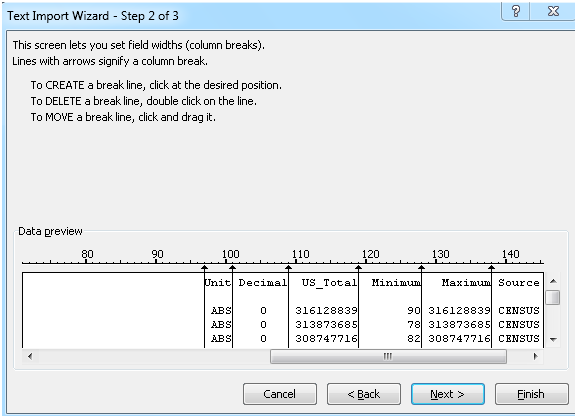 Following options taken when splitting the DataDict file which is different to how it is described on the download page. Essential to use Text as column name as shown. Follow the section to add descriptive headings to the DataSet file on the download page. The final DataSet.xslx file should look like this. Save the DataSet.xslx file and the rest of the work is in Lumira. 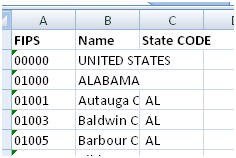 Lumira will be used to add the county names as follows. 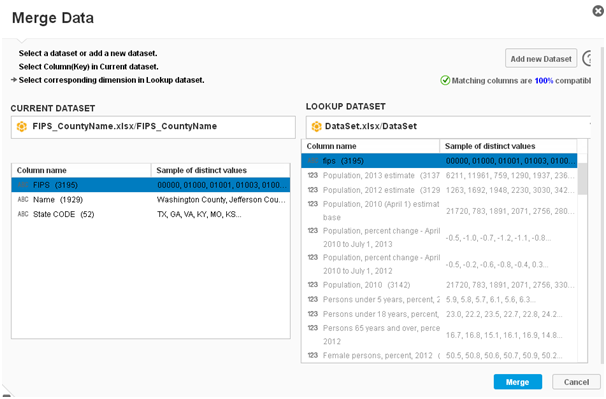 Load the FIPS_CountyName.xslx file and DataSet.xslx and take the option to merge the data. The result should be a 100% match on the FIPS columns in both files. 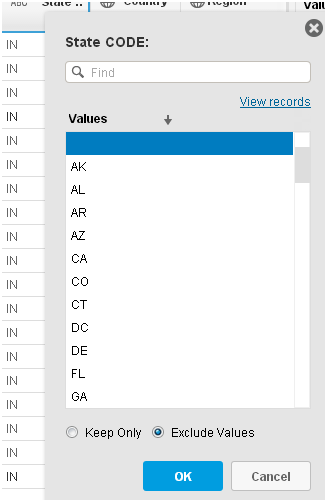 Add a filter to exclude the “blank” States in the State CODE column, so only US counties will be available in Lumira visualisations. 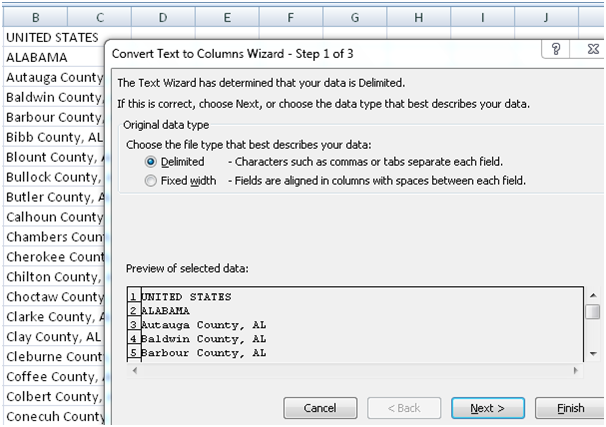 Select the Custom chart “US Counties – SCN demo” as shown below. 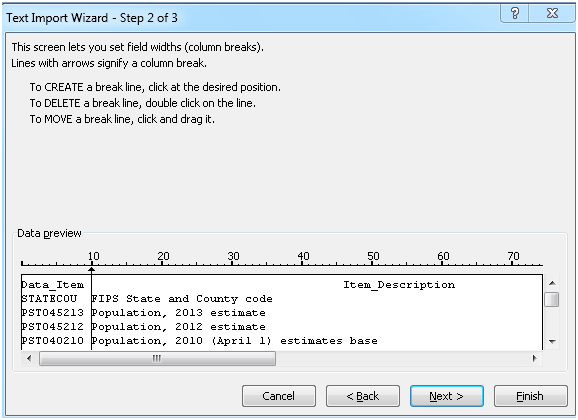 Select Measure required and the FIPS dimension as per the example shown below.